Optimists to GC32’s – RAYC Sail Akarana is a bit of everything! Home/All News, Sail Akarana/Optimists to GC32’s – RAYC Sail Akarana is a bit of everything! On the weekend of the 12-13 March, RAYC hosted it’s bi-annual Sail Akarana Regatta. Since first forming in 2012, Sail Akarana has grown in numbers both with sailors, and fleets joining in. For the 2016 March edition of the regatta, the fleet ranged in size and speed with everything from Optimists to foiling GS32’s racing for glory. Racing on the waters near Northern Leading, it was great to see such a diverse fleet. The Paper Tigers, who are holding their Swire Shipping Paper Tiger International Championships at RAYC during the Easter break used the regatta as training prior to the big event. 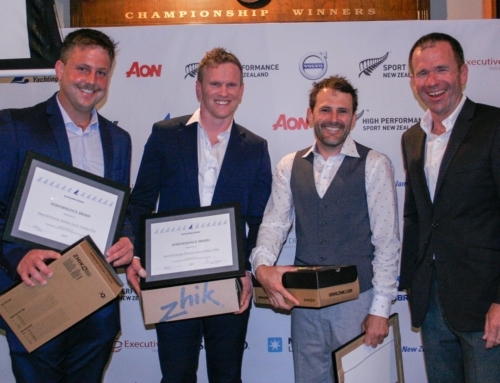 The Flying 15 fleet raced for their Auckland Championship, again using the regatta as training ahead of their Worlds which is being hosted by Napier Sailing Club. Team Vodafone Sailing, Team Marwin and Foiled were almost not going to make the regatta after Team Marwin lost a board just two days before the event. They managed to salavge the expensive piece of kit and were on the start line on Saturday. Seeing these beasts tear around the harbour was fantastic, and gave the kids in the Optimists and Fevas something to look up to. The Moth fleet, who are slowing making a presence on the racing scene had a great time foiling around and are planning on being back at RAYC on the 3rd April for club racing. The M-Class fleet raced for their Scott Wilson Memorial Trophy in very challenging conditions on the Sunday and now only have one more official race day prior to the 76th Arch Logan Memorial which is happening on the 9th April. The Feva and Optimist fleet raced for the inaugural Club Championship. 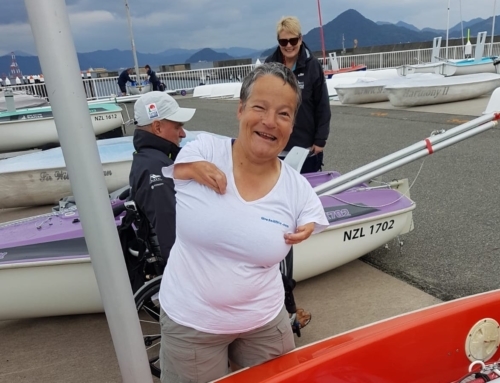 The Optimist fleet will next week embark on Kohimarama Yacht Club for the 2016 NZIODA Championship, while the Feva sailors prepare for the Feva Fever regatta before their class nationals in April. Thanks to all the volunteers who gave up their weekend to run the races.